Did you know that you are branding even if you are just responding to somebody’s comments on your blog? Did you know that you are representing your brand when you are commenting on a blog? 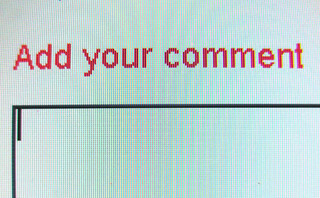 Blog comments push your brand. Before you respond or comment on a blog post, make sure that you quickly review what core values your brand has and post accordingly. As we have written earlier, the best way to kill a brand is to send out mixed messages. When you are sending responses via E-mail or responding to a blog post through the comment section, make sure that these activities do not send mixed signals that are inconsistent with your brand. Stay on the message. Stay focused. Always review your brand’s constellation of values before you engage in online communication. This is your best defense against sending mixed messages. Nobody likes a hypocrite. Nobody likes liars. Make sure that you do not go against your brand’s message by sending mixed messages. Mixed messages are, in essence, a form of lying or hypocrisy. Your brand says something, but you are doing another. Watch your actions online because everything you do is a form of branding and every branding action is an opportunity. You are either building up your credibility or you are stagnating. There are no two ways about it.